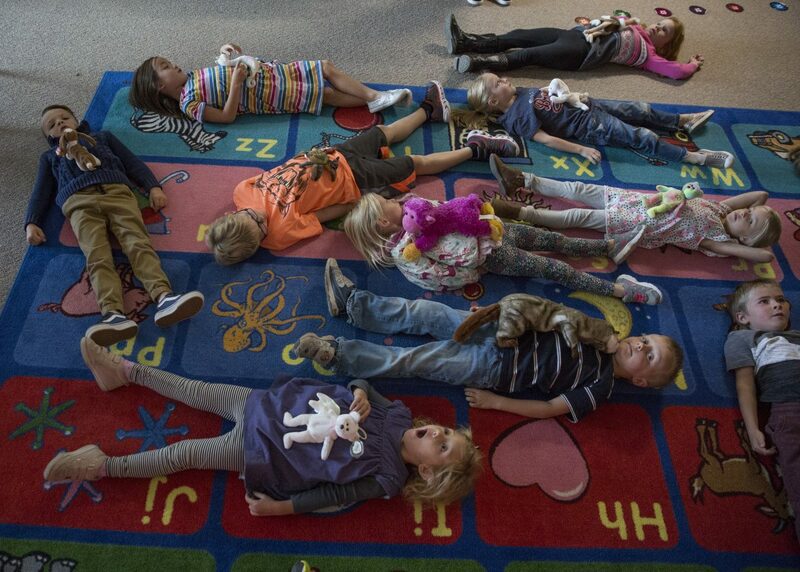 Students in Shelley Pierce's kindergarten class at Trailside Elementary School lie on the ground with their "breathing buddies" to practice mindful breathing. Pierce is one of several teachers at Trailside and Ecker Hill Middle School who are undergoing training to include mindfulness practices in their classrooms. "This will pass," Pierce says. The stuffed animals rise as everyone breathes in. An audible exhale is heard as the animals sink. Pierce is one of several teachers in the Park City School District who have been adopting mindful practices in their classrooms. Mindfulness is the state of being aware of what is going on in the present moment. A cohort of teachers from Ecker Hill Middle School were part of a certification pilot program to learn mindfulness last school year, during which 12 teachers and three counselors learned mindfulness skills for themselves and their students. This year, the program is in its second phase at the middle school with 13 teachers. It has launched at Trailside Elementary school as well. The program utilizes Mindful Schools, an organization from California that provides online teacher training. Then, mindfulness coaches Rebecca Brenner and Randi Jo Taurel do monthly meetings with those in the cohort. 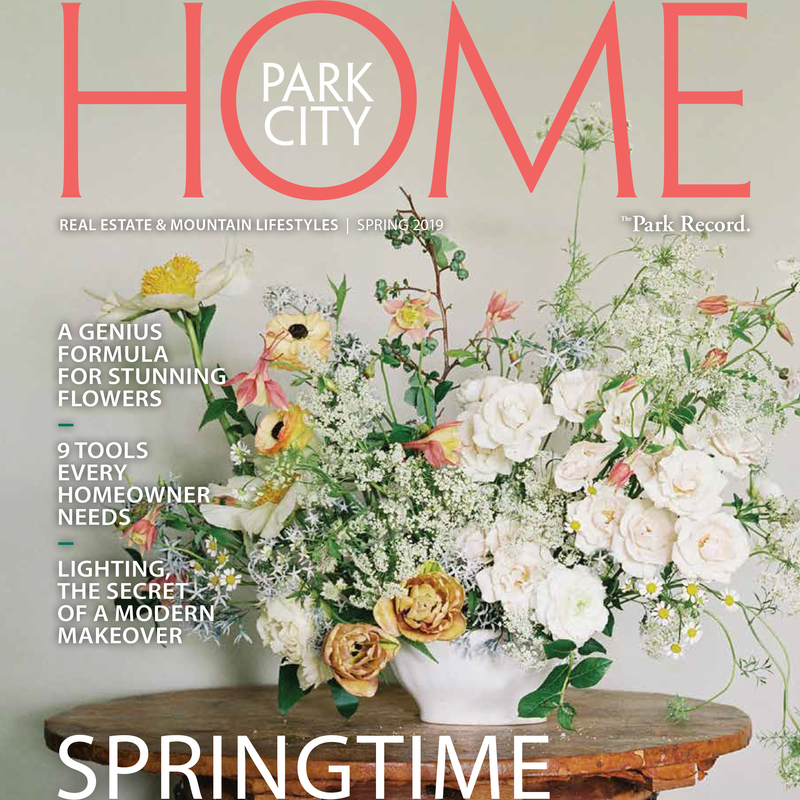 It is funded by the Park City Education Foundation and Trailside's parent-teacher organization. Kara Cody, programs director for the Park City Education Foundation, said the organization decided to continue to fund the program at Ecker Hill because of last year's success, which exceeded expectations. When Trailside applied for a school grant to follow the middle school's lead, the foundation did not hesitate to provide the funds. Teachers who implemented the practices last year noticed a difference within their classrooms. 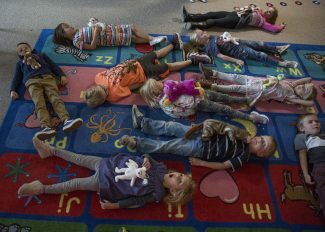 Lori Drivdahl, who taught math at Ecker Hill last year, saw stressed students use what she taught them to close their eyes, set their hands in their lap and take deep breaths during class. She said she signed up for the program because math can often cause anxiety for students, and she wanted to create a classroom environment that was calming. "School is pretty high-stakes these days, with testing and scores and increased rigor," she said. "I just wanted to help them have tools to be able to calm and relax and put things back into perspective." After finishing the training, Drivdahl used the lesson plans provided to her to teach about breathing and mindfulness. When she saw stress levels starting to rise, she would remind her students to take a moment to relax. At first, there were students who would giggle or not participate. But halfway through the year, Drivdahl saw more students choosing to take mindful moments. Then, she noticed a change in herself. She realized how stressed she was during the school day trying to get through all the required curriculum. So she decided to decelerate her rapidly moving pace. "It kind of just slowed everything down," she said. "I think by calming myself down and slowing things down with me, it slowed the class down." This year, she is teaching fifth grade at Trailside, and she said mindfulness has been a part of her classroom since day one. Pierce, who is in Trailside's training program this year, started implementing mindful practices last year after doing her own research. She said her students' scores testing literacy were higher last year, and she attributes part of the increase to the mindful practices she taught her students. One day, she said a student was taking a break after hitting someone. She told him that he could return to the group when he felt under control, and he told her he would be ready after breathing through it. "It totally changed my life and I think it changed my kids as well," she said. "I would never stop doing it. I would never go back." Johnna Roussos, a school counselor at Ecker Hill, said comprehensive exam scores were higher last year in students who had been practicing mindfulness. She believes it is because they are better able to understand their emotions and calm themselves down when they feel anxious or stressed. "I think it is really important for us to teach kids skills on how to handle stress," she said. "We see a lot of anxiety, a lot of kids putting a lot of pressure on themselves." And the kids seem to enjoy it, too. Roussos said a leadership class voted to implement a school-wide initiative called Mindful March so students and teachers can focus on mindfulness throughout the month. Already, the school has Mindful Mondays, during which teachers show their students videos about mindfulness. Roussos said the ultimate goal is for all teachers to have the opportunity to go through the training. The foundation's grant for the mindfulness program at Ecker Hill pays for one more year of the online training and instructors Brenner and Taurel. After that, the teachers and counselors who have undergone training are expected to work with teachers interested in learning the practice. Brenner said one day, she hopes to see mindful practices in every school in the Park City School District. Based on the district's recent emphasis on mental health, she believes district-wide mindfulness adoption is coming.